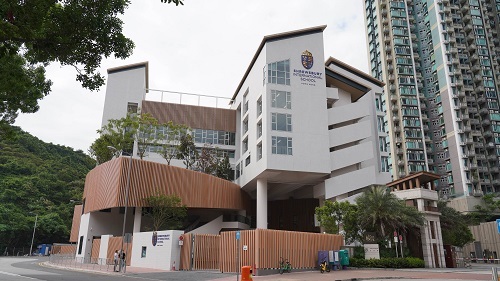 Newly opened Shrewsbury International School Hong Kong, located in the Tseung Kwan O district of Hong Kong's New Territories, has been selected the winner of the Asia Pacific Property Awards 2019-2020 for Public Service Architecture. Mr Stephen Holroyd, Director of Schools for Shrewsbury in Asia said, "Shrewsbury International School Hong Kong's selection as the winner in the Public Service Architecture category is a well-deserved recognition for the Palmer and Turner and in-house project teams that committed to design the school, from the ground up, to be one of the best purpose-built primary schools in the region." He said that the architecture and design was "sharply focused on enhancing the learning environment for children aged 3 to 11 years and to be empathetic to the stunning surrounding landscape." "The spaces are laid out to promote learning through an inspiring design that draws inside the building the dramatic mountain scenery surrounding the school, as well as encourages student interaction across classes and year groups so that friendships can be made easily," he added. According to Mr Holroyd, the extra-wide, 3-metre corridors are designed as flexible space for collaborative learning and teaching, and the classrooms have been arranged in clusters which can be open up and connected with one another. "This is all about setting up our Shrewsbury students to thrive at secondary school – and beyond." Among the features pulled out for special recognition were the layouts that bring fresh air right into the classrooms and common spaces, the double-glazing of external windows for sound and thermal insulation, as well as the maximization of the use of diffused natural light.